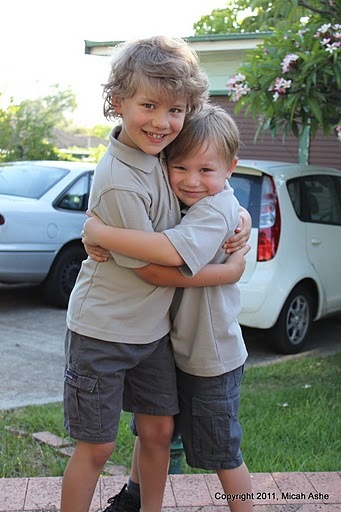 These are recent photos of my grandsons, taken on Toby’s (he’s on the left) very first day of school. 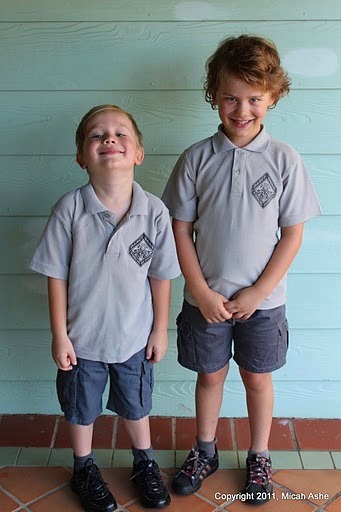 They’re a handsome couple of lads, even as Toby presents a ‘dag’ face and brother Sebastian makes like a young Jim Carrey. 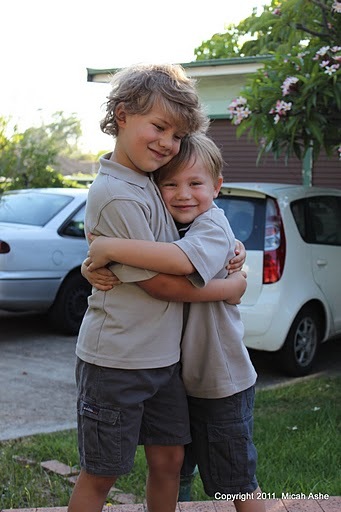 I daresay they’ve been sweating it out at school this week since Sydney’s Western suburbs have recorded Sydney’s hottest five days in a row on living record – over 35 degrees C every day. That’s 95 degrees for all my US readers – (35 x 9/5) +32 = 95. These are my all-time favourite shots so far of the lads.